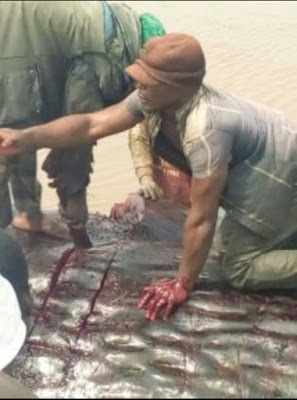 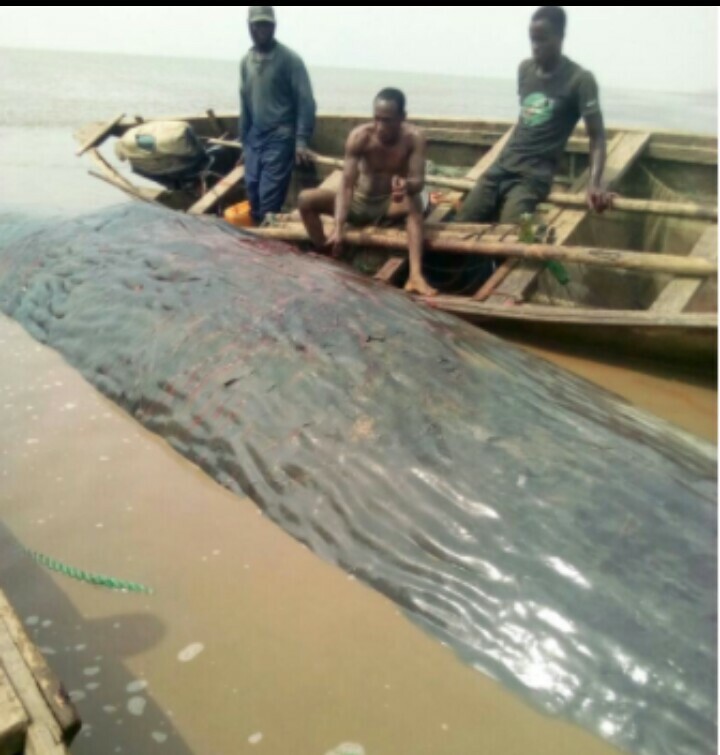 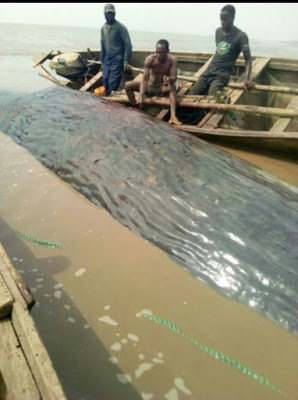 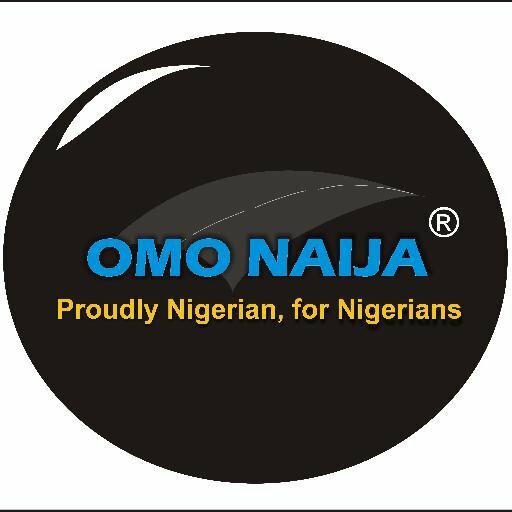 It was a great sight to behold yesterday in Ese-odo, a town in Ondo state as a giant whale weighing thousands of pounds was reportedly killed after it washed ashore. The whale washed up on shore and locals wasted no time taking photos with it before they butchered it and shared among themselves. 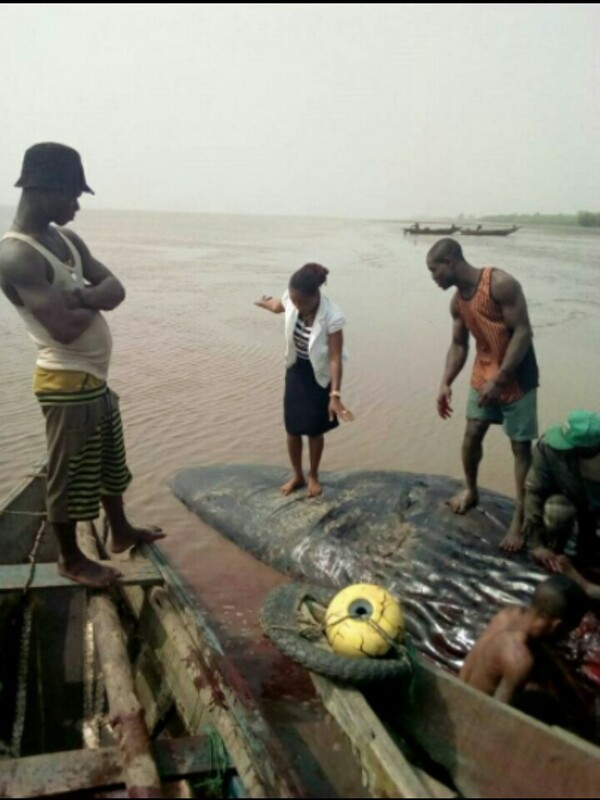 Viral photos circulating on social media shows locals posing on top of the mammal.